In recent years, the case and convenience of machine quilting has made it increasingly popular with needleworkers. 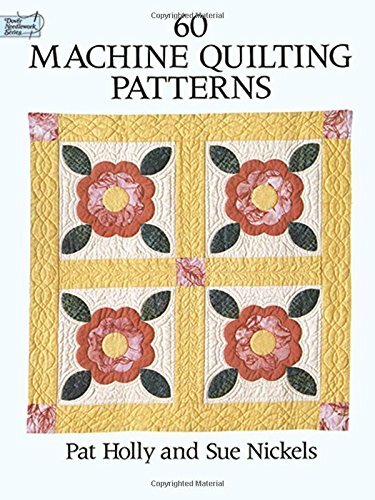 Now you can choose from this convenient collection of 60 patterns, specifically designed to make machine quilting quick and easy. Included are traditional feather designs, florals, geometrics, corners and borders, and many more. The patterns are accompanied by clear, easy-to-follow instructions and diagrams on machine stitching and other essentials. The result is a handy, highly useful archive of patterns and instructions for quilters at all levels of expertise who enjoy the speed and practicality of machine quilting.